Dark field and phase contrast microscopes allow to observe transparent samples. The dark field microscope produces a light cone, which reaches the objective only when it is scattered by the sample. This reinforces the image contrast. 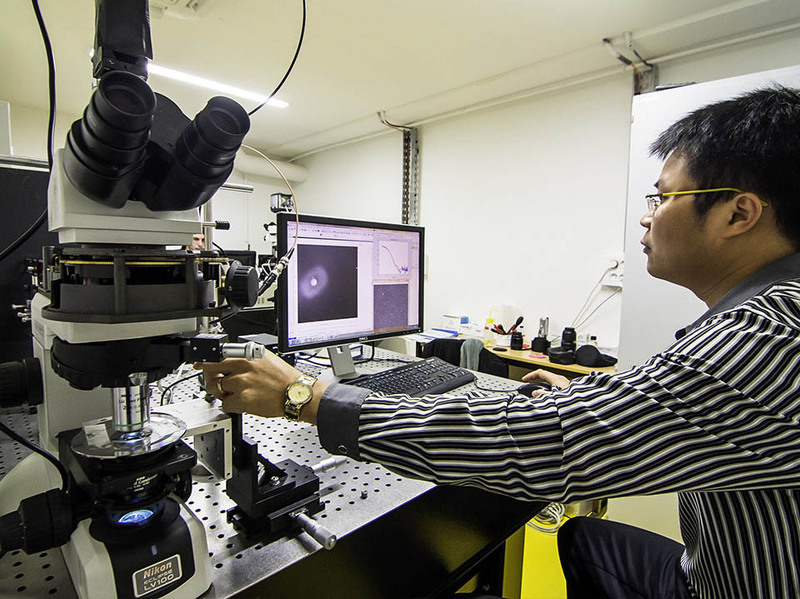 The phase contrast microscope modifies the light trajectory so that part of the beam is modified by the sample and part is not. Making these two parts interfere creates a contrast, which allows to visualize samples even when they are transparent. Dark field transmisttion microscopy on gold nanostructures.